Do you lead an active lifestyle? If so, then you may often get frustrated by having to wear traditional eyeglasses. Not only are they cumbersome while playing sports or engaging in other physical activity, but certain eyeglass frames may even cause "blind spots" in your peripheral vision. If these frustrations sound familiar, then it may be time to consider making the switch to contacts. However, for some people, traditional contacts won't do; instead, you may need to look into daily disposable multifocal contacts. What Are Daily Disposable Multifocal Contact Lenses? In simplest terms, daily disposable multifocal lenses refer to contact lenses that have different prescriptions built into their design. For example, one prescription may be for near-sightedness, whereas another may be for looking at objects that are a further distance away. The goal of this type of lens is to provide a clear image at any distance. Furthermore, these lenses are disposable, so they can be swapped out with a fresh pair daily. Who Should Wear These Types of Lenses? Specifically, these kinds of contacts are highly recommended for those who have been diagnosed with presbyopia, a condition that makes it hard to focus on objects close by. For example, a person with this ocular condition may have no problem seeing objects at a distance, but may have to squint or wear reading glasses in order to read a simple menu in front of them. Daily disposable multifocal contact lenses are idea for those with this condition because the multiple prescriptions built into them make it possible to see clearly from just about any distance. No need for reading glasses. What Are the Benefits of Wearing These Contacts? Aside from convenience, there are many benefits to making the switch to daily disposable multifocal lenses. For starters, they're healthier and better on the eyes than other traditional types of lenses, and they don't cause eye dryness like many other types of contacts do. This makes them ideal for those with eye allergies who may have had trouble adjusting to other types of contacts in the past. Not to mention, since they're disposable, you can save the time and hassle of having to clean your contacts every day. Simply toss them out at the end of the day and start a new pair the following day. 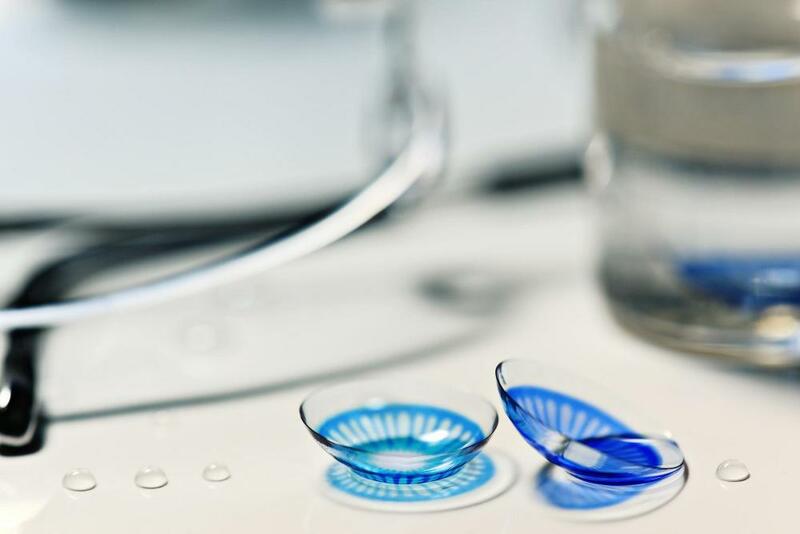 If you're interested in finding out more about daily disposable multifocal contacts in Houston or shopping for the right brand for you, be sure to keep Eye Site in mind. Not only do we carry top brands of multifocal lenses, but we can also assist you in choosing the right option for your unique needs. We encourage you to get started with Eye Site today by scheduling an appointment at our office. Give or Katy office a call at 281-644-2010 or our Houston office a call at 713-984-9144 to speak with our friendly staff and find out more about what we can do for you and how we can meet your eyecare needs.